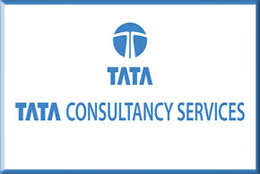 Tata Consultancy Services Limited (TCS) is an Indian multinational which is into information technology (IT) services, business solutions and consulting company and is headquartered in Mumbai, Maharashtra. TCS is mainly the subsidiary company of Tata Group and is listed on the Bombay Stock Exchange and the National Stock Exchange of India. TCS is one of India's most valuable and also the largest India-based IT services company as per the 2012 year revenues. 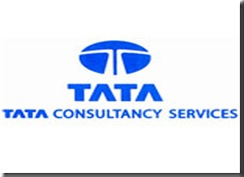 Tata Consultancy Services (TCS) was founded in the year 1968. The organization contracts included providing mostly punched card services to sister company which is TISCO, working on an Inter-Branch Reconciliation System for the Central Bank of India, and providing bureau services to Unit Trust of India. In the year 1975 TCS had conducted its first campus interviews, which was then held at IISc, Bangalore. The recruits usually compromised of mostly 12 Indian Institutes of Technology graduates and also the IISc graduates, who became the first TCS employees to enter a formal graduate trainee programme.In the year 1979, TCS had delivered an electronic depository and trading system called SECOM for the Swiss company SIS SegaInter Settle. In the year 1981 TCS had established India's first dedicated software which is mostly about the research and development centre, the Tata Research Development and Design Centre (TRDDC) in Pune. In 1985 TCS had established India's first client-dedicated offshore development centre which was set up for client Tandem. Chandra joined TCS in the year 1987 after completing his Masters in Computer Applications from Regional Engineering College, Trichy, and Tamil Nadu in the year 1986. His previous role was as a Chief Operating Officer, also he was an architect of the new organization structure which was unveiled in the year 2008 which created multiple agile business which are the units focused on domains and markets as well as built strategic business units to pursue mainly the new initiatives with the ability to invest, develop and mature new ideas. Under his leadership, the organization has pioneered the creation of its unique Global Network Delivery Model (GNDM) across the whole five continents and ventured into new markets including Europe, China and Latin America. It is mostly added to the new business lines which are like BPO, Infrastructure and Assurance services. Chandra has driven most of the domain diversification ventures which has seen the Organization enter new verticals like Media and Information Services as well as Hi-tech. All of these have mostly matured into sizeable businesses under Chandra's mentorship and guidance. TCS software products - TCS BaNCS is an embedded and also interactive software product for financial services or the related activities. TCS technology products are been specially designed for database integration, knowledge management, and customer relationship management (CRM). Tax mantra is being very much integrated with the tax solution, TCS file authentication solution, and TCS e-learning effectiveness measurement and also the TCS business rules engine are some popular TCS software products. TCS services can be further divided into enterprise solutions, IT services, IT infrastructure services, business intelligence and performance management, industrial and engineering services, and business process outsourcing. Tata Consultancy Services today became the country's most valued firm with a market capitalisation of Rs 2.77 lakh crore. At the end of trade today, TCS commanded a market cap of Rs 2,77,680 crore. This is about Rs 397 crore more than the ONGC's m-cap of Rs 2,77,283 crore that slipped to second slot. Shares of TCS ended 0.72 per cent lower, while ONGC was down 1.55 per cent. On April 25, state-owned energy major ONGC had pushed IT giant TCS to the second slot to emerge as the most valued company. ITC with a market capitalisation of Rs 2,61,353 crore was at third place, followed by RIL and Coal India. TCS BPO is the second largest player in the outsourcing industry in India behind Genpact according to Dataquest survey in August 2011. TCS's BPO arm had revenues of $925 million in the year that ended in March, and 34,000 employees. In the year 2008, DataQuest ranked TCS as #1 company among IT service providers. BusinessWeek in 2007 placed TCS in its list of top 25 information technology companies. In 2007, TCS topped Global Services magazine's list of "100 Best Performing IT Services". TCS commitment to the environment initiates from the Tata Group's abiding the main concerns for the environment, climate change and society, which is embodied in the Tata Code of Conduct and the Tata Group Climate Change Policy. TCS mainly recognizes the most of the environmental impact and climate change among the key sustainability challenges to businesses and society which is affecting economic stability, ecology and vulnerable communities. TCS mainly committed towards the leadership role in environmental protection and climate change mitigation while pursuing our business aspirations and enhancement of shareholder value. TCS is a global organization which is been providing IT services, business solutions, and outsourcing to clients worldwide. The organization recognizes the direct impacts on the environment arising out of the operations and facilities due to consumption of resources like energy, water, etc. and generation of wastes.